GX42-202411-000	 GX420d, Direct thermal, 203 dpi, Serial/USB/Ethernet interfaces, Dispenser. Includes 6' USB cable. 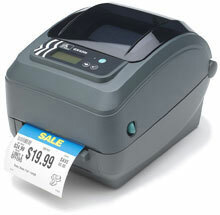 The Zebra GX42-202411-000 is also known as ZEB-GX42-202411-000	or GX42202411000	.